Institute for the Comparative Study of History, Philosophy and the Sciences, Ltd.
Our thought must take account of complexity; reduction to 'simple laws' is inadequate even in physical science. Complexity is not the same as chaos, everywhere it is complemented by organization. Practical activities, such as modern technology, have forced people to recognize the irreducibility of complexity, but also lead to a search for structural modes of thought. Two-valued logic, simple laws, and ordinary language, especially the Indo-European, are inadequate tools for enabling us to describe organized complexities. The concept of multi-term systems can take us further. The grasp of structures is not a matter of knowledge alone, but requires an intuitive insight that can be called 'understanding'. Knowledge is the accumulation of data concerning the behaviour of things. The step to understanding requires a consciousness of structure that is synthetic and not analytic. Up to now, no technique for understanding has ever been proposed. This is, in part, because understanding and knowledge are not clearly distinguished. Knowledge and understanding are mental acts of quite different kinds. They require quite different methods of development, though productive thinking requires their cooperative working. In order to know, there must always be some grasp of structure, but it need be of only limited extent. On the other hand, the depth of human experience exceeds what can be concretely grasped by any single human mind. This is why creative acts are needed for advances in human thinking. The discipline that has been called Systematics serves as a bridge between our limited and only implicit grasp of structure and the concrete experience, by introducing certain simplifications which enable us to proceed by way of an integrative progression. Systematics is the mental tool whereby we study organized complexities and this paper will give a short account of the present state of its development. We shall start with a few definitions. A multi-term system is a set of independent but mutually relevant terms. Each system portrays a particular manner or mode of experiencing the world, called the systemic attribute. The order of a system is given by the number of terms: A one-term system is a monad. Second, third, fourth, etc. order systems are called dyads, triads, tetrads, etc. Within each system, there are various connectivities between the terms corresponding to the order of structure of the system as a whole. First order connectivities are between pairs of terms. Thus a triad has three first order connectivities. 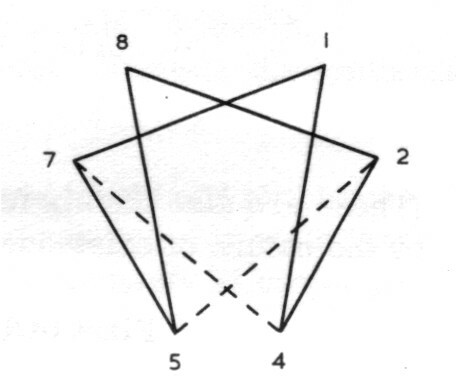 Second order connectivities are triads of three terms. A tetrad has four such second order connectivities. The terms of a system must be compatible with each other, that is, of a kind. This can be expressed by saying that for each system, there is a common term designation. For the terms of a dyad, this is pole; for those of a triad, impulse, etc. Within a system, each term is distinctive, and is accorded a specific character. The Monad gives totality without distinction of parts, hence universality as the systemic attribute. The Triad gives relatedness without relativity and hence dynamism. The Tetrad gives structured activity and combines relativity and order, hence activity as distinct from potential. The Heptad gives progress combined with distinctions of quality; hence trans formation. The Octad gives the structure fully harmonized in and for itself on all scales; hence completedness. The further systems exhibit more concrete properties, including the overcoming of hazard and uncertainty. Understanding is a mode of apprehending experience in which there is no separation of 'subject' and 'object'. This distinction applies only in the sphere of knowledge. That is why understanding has more to do with action than with theoretical activity. The progression of the systems is a movement from abstract to concrete. A monad fixes the universe of concern but tells us nothing of the structure. A dyad enables us to see the polarity that introduces force into the situation. Only with the pentad are we able to define an entity. Usually, 'naming' occludes the structural depth of our mental objects. When we wish to understand an entity, we have to take account of inner and outer structuring and this requires at least five terms. All concrete situations involve uncertainties and hazards. The more complex systems show how these hazards enter and how they can be harmonized with respect to an overall plan or purpose. Beyond this, we are led into problems of the concrete structure of societies, when the terms of systems have an inner diversification and inherent flux. This then goes beyond the domain of Systematics, sensu stricto. It should be understood that systems are quite different from the conceptual pattern of artifacts. A system becomes concretely established by a structural act of will. That is why they are important for the conduct of practical affairs. Nothing can be understood unless it exists - is not an abstraction - and neither can it be understood save through an act of will. We shall now briefly state without explanation the properties of the simpler systems. The monad is an undifferentiated diversity. Monads do not have sharp boundaries but their content is unified by sharing a total character. Each new situation, to which we turn our attention, presents a confused immediacy, but it also evokes the expectancy of finding an organized structure. This leads to what is called identifying the monad, which involves both cognition and judgment. Typical kinds of monads are 'populations', 'fields', 'problems' and 'universes of discourse'. There are two ways of identifying a monad: exclusion and enumeration, corresponding to the act of judgment and the cognition of content. Ideally each gives the same result; but since the second cannot be exhausted, they prove in practice to be complementary. Every totality is ambiguous: it has an internal diversity and an external connectedness that are both quasi-infinite. There is what it is and what it does. This illustrates the fundamental ambiguity of the world-structure that makes contradiction a reality and not a defect of thinking, as many philosophers, such as Hegel, have seen. Each 'side' of the duality is necessary to the other: they are complementary. In every act of perception, there is a complementarity of 'figure and ground' and 'focal and peripheral attention', without which there could be no awareness of a world in which we ourselves are. Traditional metaphysics abounds with versions of the dyad, but all are limited in scope of expression and often fail to accord each term an equal status; and the dyad has sometimes been taken as a sign of defectiveness in a situation. An obvious example of the dyad in human experience is the system man-woman. Each, by nature, understands and wills in an opposite way to the other; both are necessary for mutual progress, hence are complementary. The recognition of dyads is of great practical importance. Ideas of right and wrong, good and evil, true and false, are defective ways of thinking and reflect a common tendency of the mind to work in opposites of pleasure-pain, like-dislike, etc., rejecting the one and accepting the other. Both logic and politics, as well as personal life, are rendered unrealistic by the inability to grasp the complementarity of two-term systems. Progress beyond the dyad - but not its annihilation - is by entering into action. Now all activity is initiated by acts of will. We distinguish three moments in the realization of events. First the act which establishes the dynamism by the contact of impulses. Second, the action, which sets a process in train by the relatedness of impulses. Third the activity, the 'on-going'. To give a rough mental picture of the term characters: affirmation is the impulse behind commitment; receptivity is the impulse that opens up a field of action; reconciliation is the impulse that enables the dynamism 'to be'. In concrete situations the impulses interpenetrate and blend with each other. The triad is the first system that takes account of the flux of experience and is of great value in enabling the mind to grasp the originating impulses that are found connected and blended together in actions. The recognition that three independent factors have to be brought together for it to be possible that anything should happen has been found to be of immediate practical value. The tetrad is concerned with the change of order. This is exemplified in everyday situations such as that of cooking where raw foodstuffs become a meal. It is exemplified in the activity of the mind, when perceptions are transformed into understanding. Such activities are flexible, orderly and intentional. In mathematics, specification of order requires four terms. We say that ordering activities proceed from four sources. We simplify by grouping the four terms into two pairs, one concerned with the why (motivational) and the other with the how (operational). Thus each activity arises from an actual ground and has an ideal or goal. Since the activity is intentional and operative, it has direction and an instrument. In human affairs, we can distinguish two kinds of motivational source, corresponding to ground and goal: need and aspiration. The operational sources can always be grouped according to the two kinds, direction and instrument; the former cognitive and theoretical, the latter involved and practical. Each of the six interplays has a specific interpretation. These have proved useful in understanding the scientific activity. In this system, we seek to define a very special kind of 'change', which we call transformation. That there are quite different kinds of change is vaguely acknowledged by most people, but little or no research has been devoted to this. With the heptad, we concern ourselves with a complex structure of action in which the quality of action itself is changed. If we consider an entity, then (i) the entity realizes itself (ii) it acquires properties not even potentially present before (iii) without losing the identity it is integrated into a greater totality. The third aspect is the key to the integration of independent events into a total history, hence progress. Transformations are comparatively rare but of major importance in human life. The few totally dedicated artists and scientists undergo this with respect to their art or research. Transformation is usually reflected in the struggle with and resolution of a complex problem. That is why this system has proved of heuristic value in understanding the concrete structure of 'problem-solving'. The terms of the system can be regarded as 'levels' and 'stages', providing it is not assumed that transformation is simply a passing along the series of terms. It is also important to take into account the individual qualities of each element, which are present throughout the total action. There is both a structural distinctiveness of terms and a blending between them. The terms are therefore designated states, the word signifying a synthesis of qualities and stages. The symbol used to represent this system is derived from South-West Asia, where it is a common means of expressing a total order in which all things find their place. When all the first order connectivities are drawn, we have the total octad symbol, which has proved an invaluable heuristic tool in educational research done by the Institute. 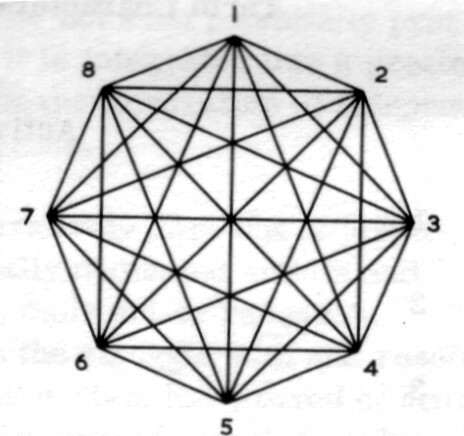 In the square of structural elements 1-3-5-7, the horizontal line 3-7 represents the range from the atomic to the total aspects of the structure. 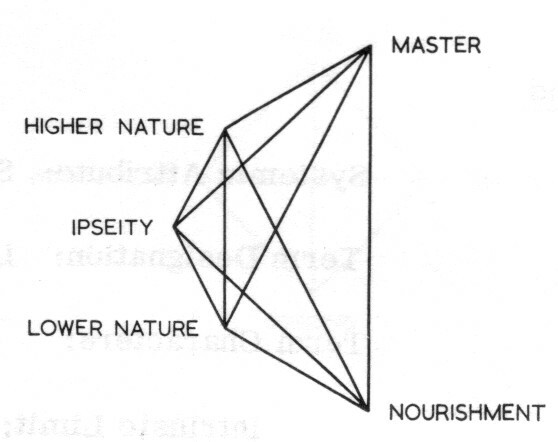 The vertical line 1-5 represents the scale of influences from the most spiritual to the most material. 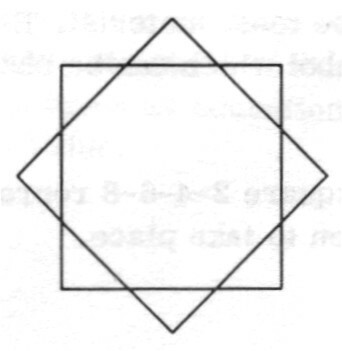 Each of these lines has seven nodes in the total octad symbol, which can be characterized for each situation studied as a totality. 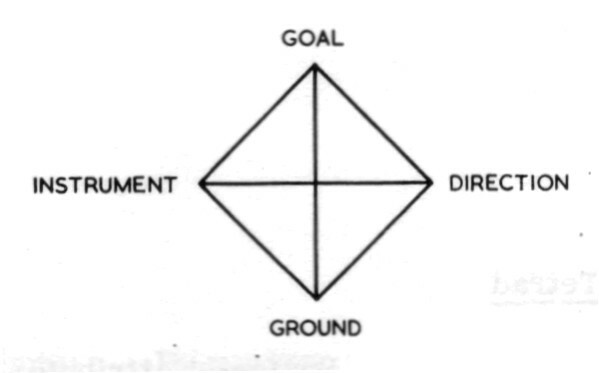 The square 2-4-6-8 represents the conditions required for the completed action to take place. 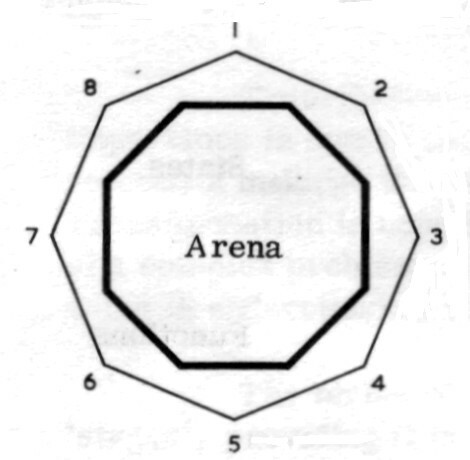 In the octad of a human life, the arena designates the region of action that is the total content of the active adult life. The arena, in general, is the region of sway of the particular will by which the situation is determined. This will need not be personal; it may be social, as for example, the will of society to educate its young. The octad affords a means for a total grasp of a situation. To illustrate by education. Education is a link between successive generations of mankind. It involves intricate personal relationships but is important for the entire human race. Influences which bear upon it range from the highest of human spirituality to the basic vital processes of the organism. Education must adapt to the changing needs and advancing ideals of humanity. All this can be represented by means of the octad with a minimum of explanation. At the centre is the school or college, which is the point of effective action in the harmonization of the totality. To the left, is involvement in the total society; to the right, concern with the group and individual. Consideration of all the points of intersection of the total octad symbol then becomes the basis for an adequate study of the 'educational situation'. It is with regard to such structures as education, organized in depth, that the octad proves of greatest value. The structure represented in the octad is still lacking in concreteness, for it does not take account of hazard and uncertainty. For example, the octad of education does not enable us to take account of the disordering due to politics and economic crises. The ennead is the first in the progression of systems that can take account of both purpose and the uncertainty of its fulfillment. Its principles can be illustrated by considering the inception and completion of a purposive process. A process initiated at A and directed towards an end B must, in any complete situation, meet with environmental factors which automatically result in some modified effect B". To avoid deviation, an independent action must be brought in to correct for deflections. This is self-regulation and is required for the accomplishment of any aim. There is a further factor, however. Outside of the developing situation there are uncertainties which may render the accomplishment of the aim useless. If this is not to be the case, another kind of action must be taken concerned with the perfection of the result. The inception of the process and the correcting and the perfecting elements, constitute a triad. The overcoming of hazard is by a synthesis of dynamism and coalescence. The dynamism enables the process to work and the coalescence is the integration of the complexity of action as an independent event. 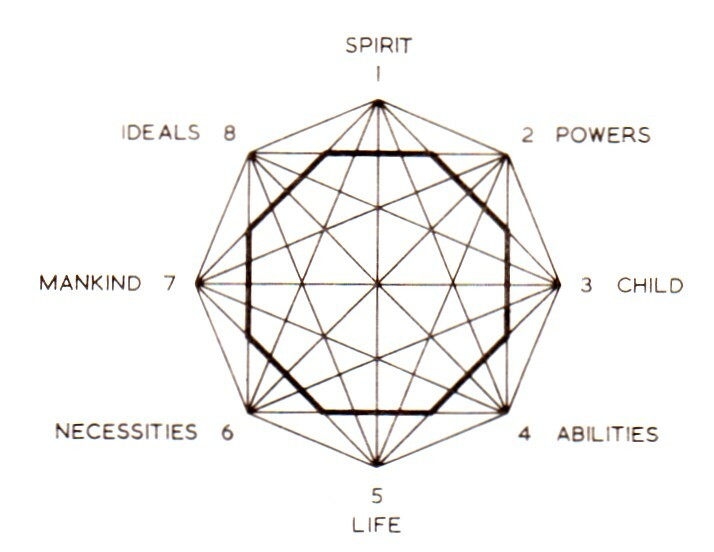 Enneads are usually studied by means of the symbolic form known as the enneagram, derived from Sufi sources in Central Asia. The six-pointed figure 142857 represents the inner sequence that is the concern of the intelligence involved who has the task of directing and coordinating the various steps. It is utilized, consciously or unconsciously, in the establishment of the artificially contrived environmental conditions necessary for processes to be completed. From this aspect, it has been studied in the sphere of industrial production and scientific experiment. The three independent features that are operated by the triad 936 each lead to the inception of a process. 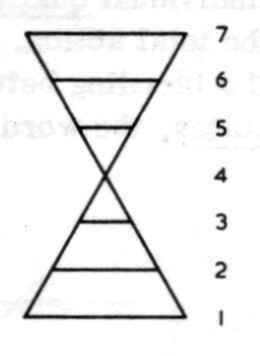 Points 3 and 6 are called 'points of hazard' since three independent processes have to blend together. The construction of such a structured situation enables there to be a dynamic harmony, which manifests repetition in time. An obvious example of this is a kitchen serving a community, where the guiding intelligence is the chief cook and the points of hazard are the entry of the raw foodstuff, and contact with the needs of the community. Regions, of the kind represented by the ennead, co-exist within complex totalities such as a community of people. When such regions interact in such a way that the significance of each is enhanced, we have the situation of integrative complementarity. This decad can also be understood as a synthesis of two pentads, meaning the synthesis of two independent modes of significance into a total meaning. This system is of value in grappling with problems of the complex and ambiguous modes of significance of man. When we take into account an active co-operation between coupled but independent entities, then we have the condition of a synergism. The eleven-term system applies wherever there is a mutual completion between structures of different kinds. 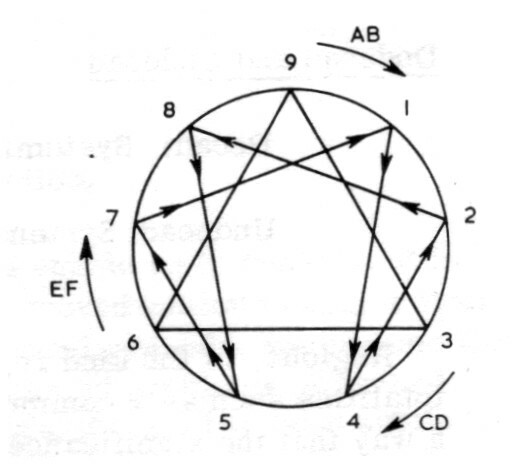 Because the twelve terms of the Duodecad enable us to consider it in terms of hexads, tetrads and triads, it has proved easier to utilize than the ten and eleven term systems. On theoretical grounds, we assume that the dodecad represents the ultimate resolution of problems of hazard. It gives a total survey of any region of experience and has been applied extensively to categorize: levels of existence; qualities of energy; substances; essence classes; values, and roles in an ideal human society. 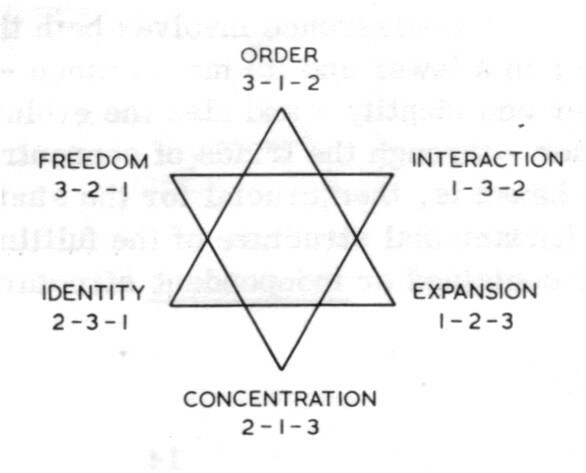 The duodecad can be considered as two hexads, upper and lower; as three tetrads, working in dynamic cooperation; or as four triads in a synthesis of immanence and transcendence. The discipline of Systematics is offered as a contribution towards the development of that integrative understanding which is sorely needed for the meeting of the problems and tasks of our time. It is work still in progress and by its very nature it can never be reduced to a set of static concepts. We are forced to take account of relativity, but we can never be satisfied with less than some vision of the totality. The dilemma is resolved by the development of structural modes of thought which give us a way of working in the present moment that is open to both the substantial past and the creative future.